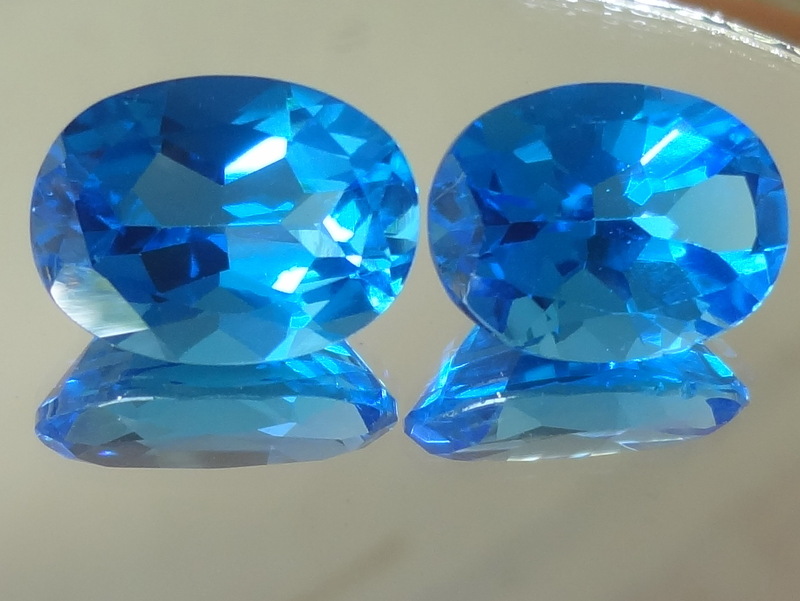 Beware of the color, this Topaz has a very beaufiful Swiss blue color, closer to the pictures than the video where they seem a little darker than they really are. 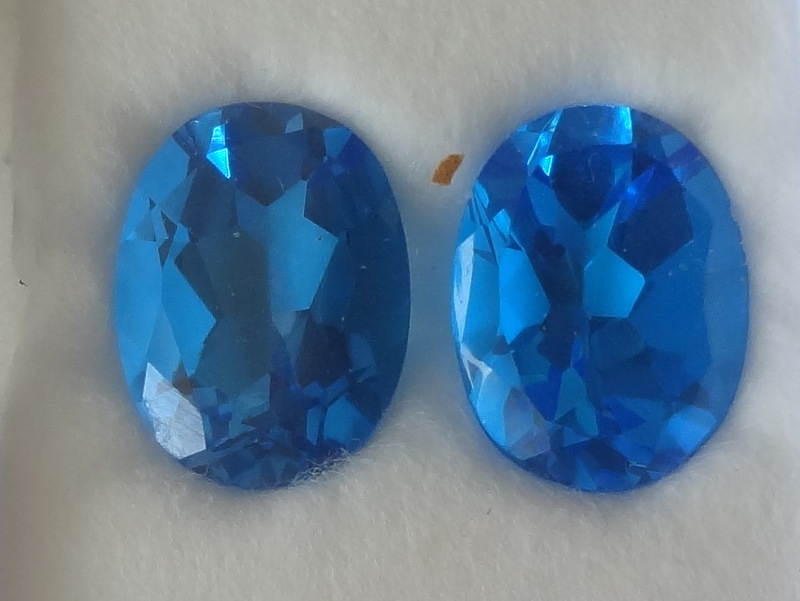 This pair of Blue Topaz is coming from Sri Lanka though it is not known if it was originally brought from Africa. Sri Lanka also has some naturally blue Topaz though this one here is probably treated blue, yet to confirm when I go to the lab next time. For now let's call it artificial blue even if the Topaz is surely natural.